Many times we work along doing the big jobs. The big jobs are important and we see their benefit instantly. This is with any job and with any aspect of life. However we many times forget all the little jobs that make life easier. As I was walking to the barn the other day I was reminded of this. You see several years ago we were overrun with mice. Now that doesn’t sound so devastating, but let me tell you it is. Mice get in everything! They get into the equipment. They chew wires and hoses in vehicles. The hunting house is only used for about a month out of the year and they enjoy the warmth it gives and their ability to be wild and free with no humans around. We also had just bought a camper and in a matter of hours the obvious sign that a mouse had gotten in was there. I had tried to get cats over the years. Probably 20 or more. None stayed around and I decided it was probably the fact I was getting cats not kittens. I took action I went to Facebook looking for kittens. I ended up with 14 kittens! Yes that’s correct 14. With these fourteen was our house cat Dumbledore and soon to be seen was Big Tom. Big Tom apparently had been living in our hay stack for years. 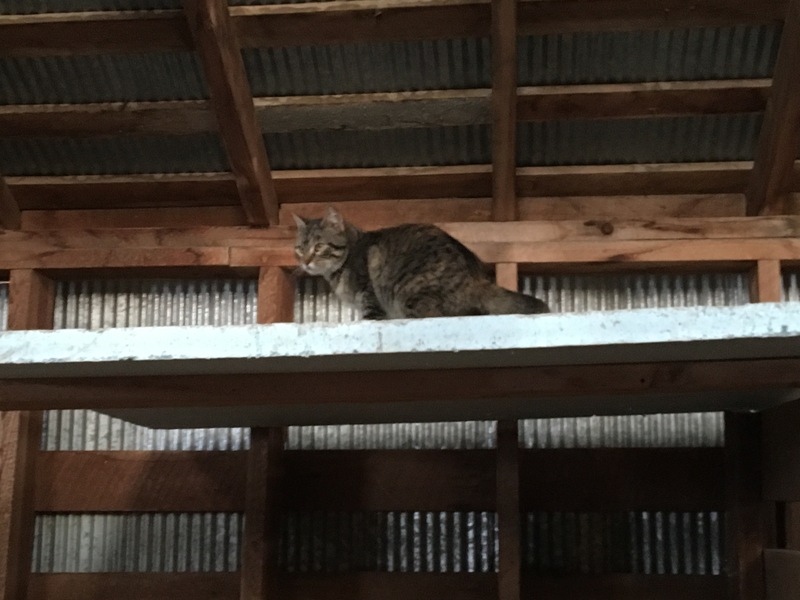 I had never seen him, but when kittens began to scurry around the barn, he showed up. I spoil my kitties. 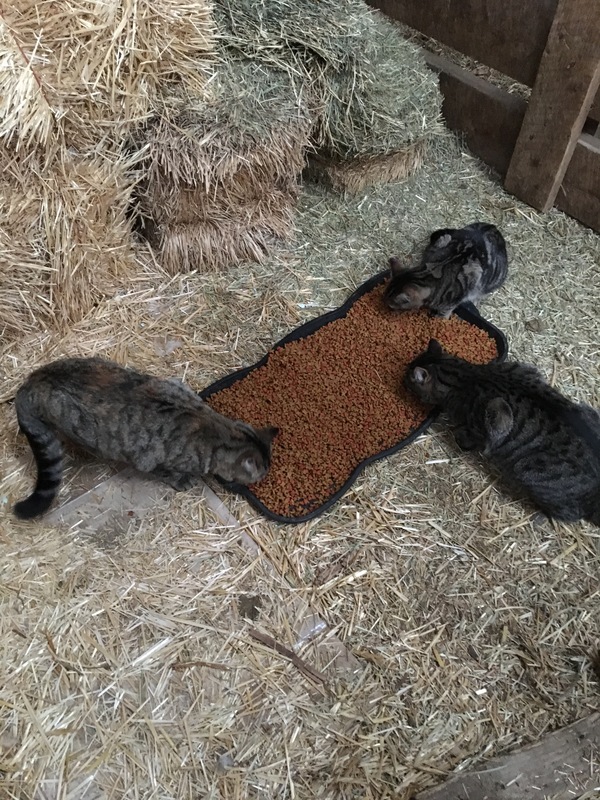 This is their own stall in the barn. 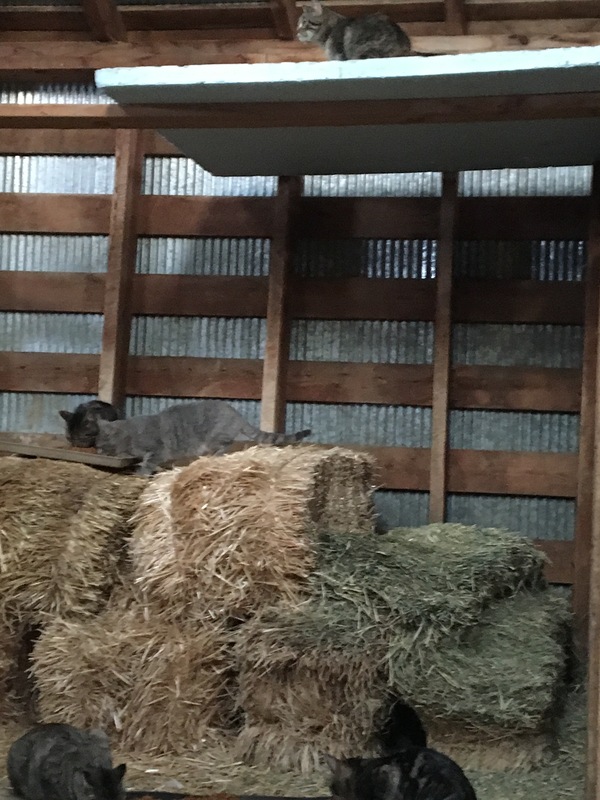 I purchased small square bales so they have shelter from the cold and made a loft to climb on. Now we live on a ranch and well ranch life happens to us all. A few met sad ends with Joe (the cat killing border collie)taking out a few, a few getting locked inside buildings, the boys grew up and just left, and some just died. Of the original 14 and two others. We have about 4 of the original and big Tom left. Luckily some have had babies and we see those from time to time. Some are a little wilder than others. This is Link. He stays near our house. He has two white spots on his head where he was bit by a rattlesnake. 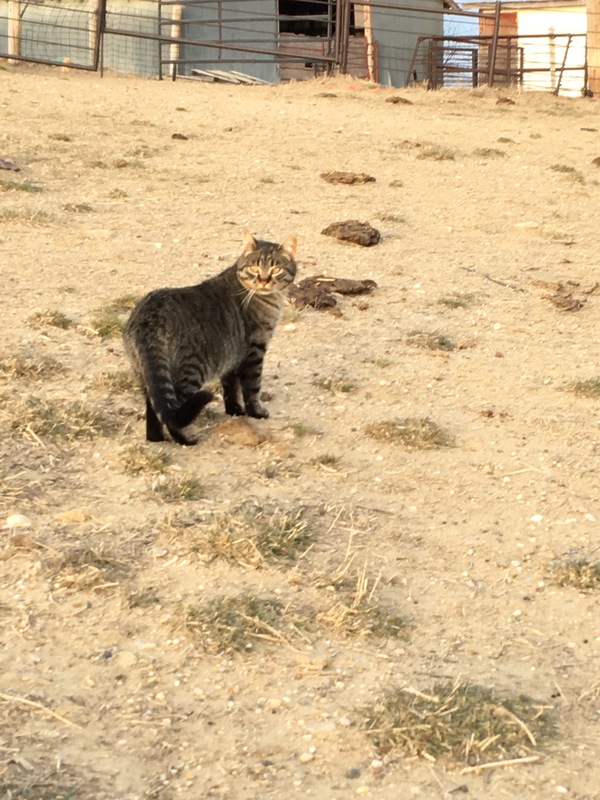 We now have some amazing cats that do wonderful pest control. These are my behind the scene workers. They work to make my life easier. We truly have no mice. I have not placed my eyes on a living mouse in a long time and for that I am thankful. Today they got extra food to ensure a day of relaxation.